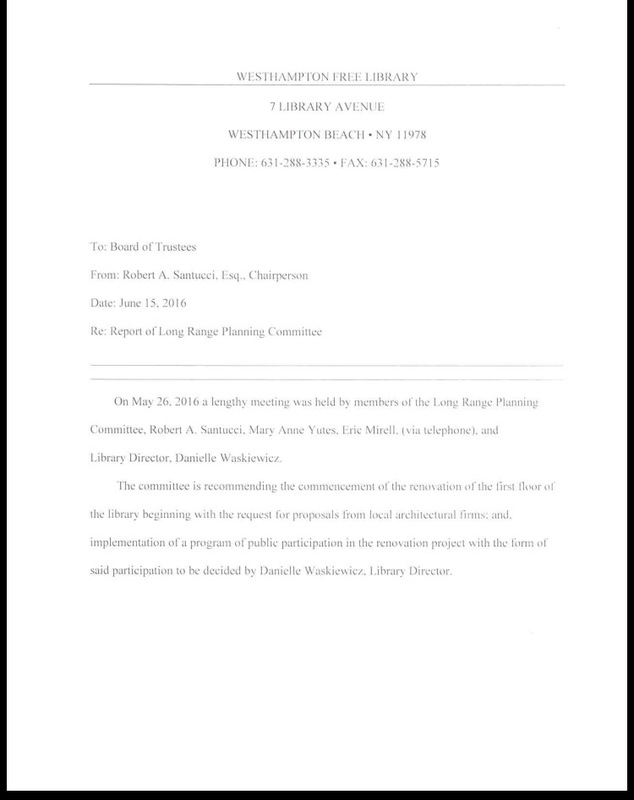 The Library’s Long Range Planning Committee, comprised solely of three appointed trustees and the Library Director, would like to begin the renovation of the first floor of the Library (see the Report, below). In the November 18, 2015, Meeting Minutes we see that $623,579 was earmarked for Interior Space Redesign. Building Expansion, Land Acquisition for a new parking lot, and an HVAC replacement are also on the horizon, all for an additional $2.4 million. A $7.8 million bond was approved by the taxpayers for a new building. Why are we renovating a six year old building? Why is there over $4 million liquid sitting in the Library’s bank accounts? Yes, $1.3 million is the Ann Skovek donation, but our Library is funded primarily by tax dollars. Why do unelected trustees of our taxpayer-funded institution alone decide how to spend our millions of dollars? 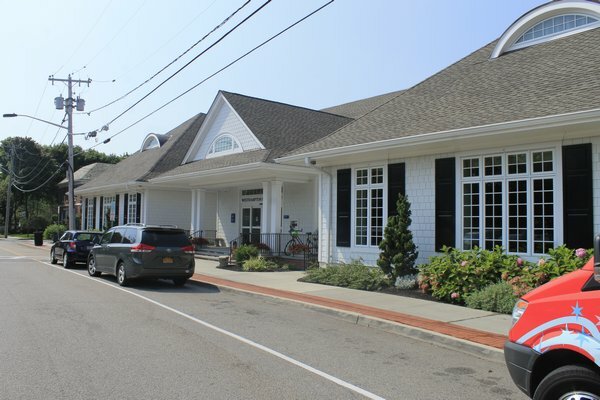 When the WHB HS considered lights and turf, the projects were put out to a community vote. Why aren’t these Library projects voted on? After personally voting yes to a new building, I now feel duped and deceived that additional monies are being used to renovate a new building. It’s my own fault for not paying closer attention to the workings of the appointed boards through the years. But, with no trustee elections, we taxpayers never get to hear ideas, opinions, or platforms of possible candidates. Appointed isn’t American, and money doesn’t grow on trees.